We don't usually think of games when we consider the paranormal. The paranormal is something to be investigated, researched, and taken seriously, not trifled with in something as frivolous as a "game." Nevertheless, some games have the power to be truly paranormal, leading to unexpected and even terrifying results. The most popular—games such as Light as a Feather, Stiff as a Board and Bloody Mary—are favorites of teenagers, who often play these games at parties and sleepovers. Teens enjoy them not only because the games allow them to explore the unknown, but also for the same reason that they love horror and slasher movies: they like to be scared. 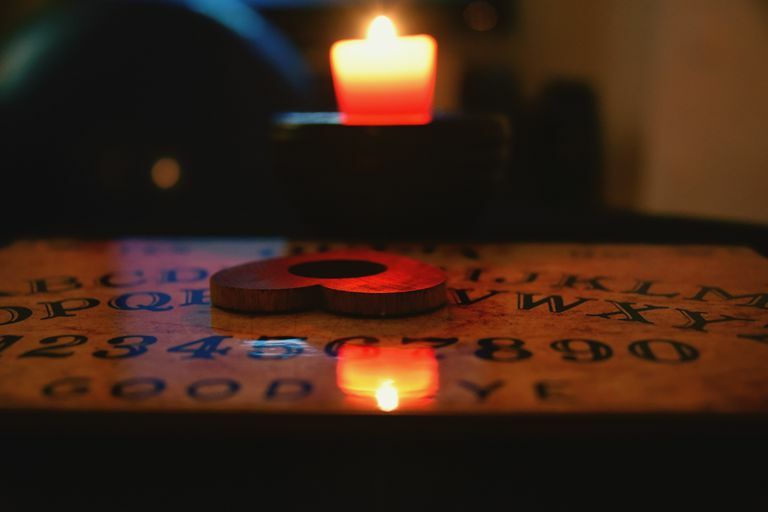 Adults and paranormal researchers usually discourage such games—particularly Ouija Board and Bloody Mary—because of the negative psychological impact they can have on participants. Light as a Feather and spoon bending are more harmless, though some argue that any game that contains elements of the unknown should be avoided. Play these games at your own risk. This levitation game has been around for decades. It requires at least five people. One person, the victim, lies on the floor with her eyes closed. The other four participants surround her, one on each side, one at the head, and one at the feet. Each of the participants places two fingers of each hand beneath the victim. With their eyes closed, they chant, "Light as a feather...stiff as a board," over and over. With just the slightest effort, the participants are said to be able to raise the victim off the floor in defiance of gravity. This levitation trick works by distributing the weight of the victim among the other participants, who are then each responsible for lifting only a fraction of the person's weight. Use of the fingertips makes the illusion more powerful, since we naturally assume a person is too heavy to be lifted by fingertips—even when there are multiple lifters involved. The Ouija is undoubtedly the most well-known paranormal game in the world, mainly because it can be found in just about any mainstream toy store. It's the commercial version of the "talking board," which may be several centuries old. The Ouija is a game board on which are printed the letters of the alphabet and the words "yes," "no," and "goodbye." Two players place their fingers lightly on a planchette, or pointer, then ask the board questions. In response, the pointer seems to magically slide around the board, spelling out answers. Some contend that the movement of the pointer is just the result of unconscious effort by the participants—or the "ideomotor effect." Others, including members of various religious groups and many paranormal researchers, warn that the Ouija may indeed open a door to the spirit realm. Dark and sinister forces, they say, can enter our dimension through this door, sometimes with chillingly negative consequences. Because of this possible negative impact, many researchers advise that the Ouija should not be used under any circumstances. Others say that it can be used safely if a proper "cleansing" is done before and after its use, or if used under the guidance of an experienced medium. Conjuring Bloody Mary has long been a popular way for teenagers, girls in particular, to scare themselves silly. The appearance of the Bloody Mary spirit has become the stuff of urban legend, with many testifying that she really has appeared. The ritual goes like this: stand before a mirror in a dark or lightless room. Stare into the mirror and chant "Bloody Mary" 13 times. Legend says that the gruesome spirit of Bloody Mary will appear behind you in the glass. There are many variations on this ritual, any of which a brave teenage girl will try, usually on a dare. Sometimes a lighted candle is required in the dark room. You must chant the name three times, six times, nine times—even up to 100 times, depending on whom you ask. Another variation involves spinning slowly in place while chanting Bloody Mary's name, glancing in the mirror with each turn. Magician and self-proclaimed psychic Uri Geller is most often credited with popularizing the phenomenon of spoon bending. While skeptics claim this feat is nothing more than sleight of hand, others say it is a genuine psychic phenomenon that just about anyone can perform. It's so easily done that spoon-bending parties have been held. On these occasions, a host brings a load of spoons and forks (forks are probably used more often than spoons because it's more dramatic to get the tines all twisted), usually bought cheaply at a thrift store. The partygoers are asked to choose a utensil they believe will bend, and during the course of the event most of the spoons and forks will indeed twist and bend, seemingly in defiance of the laws of physics. Holding a spoon-bending party is easy. 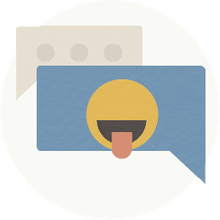 Invite people to the event that you know and like. Create a relaxed atmosphere of fun and laughter. Ask each participant to choose a utensil that they believe "wants" to bend. It's even suggested that you ask the spoon or fork, "Will you bend for me?" Hold the utensil up and shout, "Bend! Bend!" Rub it gently with your fingers. If the utensil does not begin to bend, divert your attention and focus on something else. Some even say that this inattention to the utensil is vital in getting it to bend. Others say that the combination of body heat and slight pressure causes the metal to become more malleable, allowing the utensil to twist and bend.